Chernor Bah is a Giraffe Hero for his work as a global advocate for human rights and education, as a champion for the rights of girls, and for his brave work in helping combat the recent Ebola outbreak in his home country of Sierra Leone. At the age of 15, following years of civil war in Sierra Leone, Bah founded and led the Children’s Forum Network, Sierra Leone’s children’s parliament. He travelled throughout Sierra Leone soliciting input from child war survivors. Bah’s dream of using these stories to help former child soldiers almost cost him his life when he was threatened by child soldiers under the influence of drugs. But his calmness and focus kept him safe and kept him going. He later presented a report on the impact of the war on children to Sierra Leone’s Truth and Reconciliation Commission, vividly outlining child rights violations. From these post-war experiences, Bah expanded his role to become a global champion for education rights. After receiving his bachelor’s degree in social science from the University of Sierra Leone, Bah was awarded the first-ever youth fellowship at the United Nations Population Fund to work at UN headquarters in New York with the agency’s Humanitarian Response Unit. He was then appointed youth representative on the high-level steering committee of the UN Secretary General’s Global Education First Initiative and is chair of the initiative’s Youth Advocacy Group. In 2013 he co-founded A World at School, a global campaign to ensure that all children have the opportunity to thrive and learn. In 2014, Bah received the Voices of Courage Award from the Women’s Refugee Commission for his global efforts on behalf of children and youth affected by conflict and the Population Council’s “Ideas with Impact” Award for his work on behalf of adolescent girls. 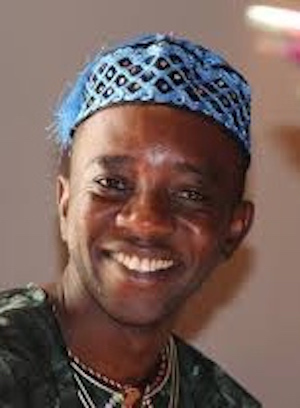 He is as co-founder of the Adolescent Girls Learning Circle, a community of more than 280 practitioners and advocates from 24 countries who develop and increase programs that give the poorest and most vulnerable girls in developing countries critical information, a say in their own lives, and a strong network of support. In his own country, in 2015 Bah formed the Sierra Leone Adolescents Girls Network, uniting and supporting the work of over thirty organisations empowering girls through education and improving their access to it. For some people in Sierra Leone, Bah is a humble child who made it in life against all the odds. To the world, he is more than that. He‘s a brave champion for a better world and in particular for the rights of vulnerable girls, helping them realize their potential to become productive citizens, not just in his home country, but throughout the world. Bah received his master’s in peace studies from the University of Notre Dame. His email is cbah@popcouncil.org.